Vinca Minor Atropurpurea is an amazing low-growing, evergreen perennial that forms a dense mat of beautiful dark green leaves. It is also known as Myrtle or the Lesser Periwinkle. It's trailing, yet compact habit allows it to fit in difficult corners of a garden. It blooms very attractive deep purple flowers that are unique and highly ornamental. Being less vigorous than its other cousins, Vinca Minor is an excellent choice for groundcover in small gardens. This Lesser Periwinkle produces ovate and glossy, dark green leaves that will hug the ground like a blanket. This extremely pleasing blanket of leaves is studded with 5-petalled deep-purple flowers that appear on long stalks. The flowers continue to bloom sporadically in summer and autumn, and its evergreen foliage provides year-round interest. It is a vigorous grower but not invasive like Vinca Major. Vinca Minor Periwinkle is can tolerate shade very well. Plant it in full sun and its leaves will be prone to scorching. It can adapt to any soil, still, it prefers any moist soil that is well-drained. It is a tough plant that will thrive in sheltered or exposed shady positions, provided the soil is not excessively dry. This low growing plant requires only occasional maintenance once it is established. The new plants that form can be relocated to a new position with ease. Prune this Periwinkle in spring to cut back hard using a mower to give it a limited spread. 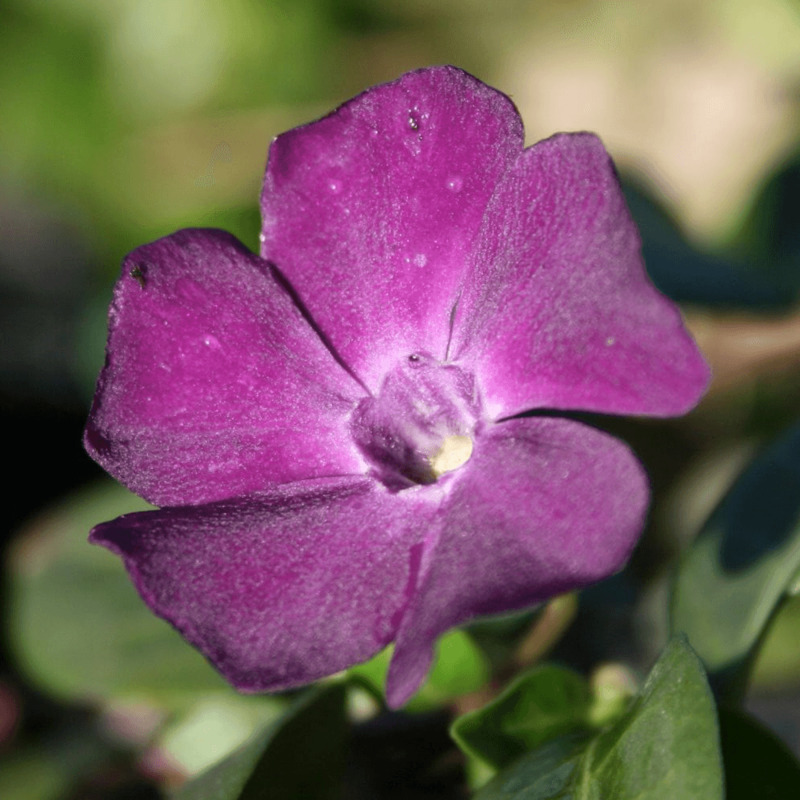 Vinca Minor is a wonderful plant that provides lustrous floral display throughout the year. It is ideal in containers and hanging baskets. It is a perfect choice for suppressing weed and for covering ground, particularly in the shady corners of a garden.